Try Continuous Ink System with your Brother DCP-165C and make 30 times more quality prints for the same money! Pay only 0.04 USD for A-4 full color print! Ink System for Brother dcp-165c: why pay more? Let's consider the model of this printer. It's a color printing device with inkjet printing, scanning and copying functions in one stylish ergonomic case with compact dimensions 390x365x150 mm. At home or in a small office the variety of MFD's functions, a compact design and economical dimensions are required. CIS brother dcp-165c combines all these characteristics perfectly. MFD could print, scan and make copies quickly and easily, it also could print from USB flash drive, memory card and digital camera directly. With it you could save your space and money due to the Energy Star certification and elaborated technology of separate consumable materials. We should better begin with the productivity of the printer, which depends on the printing speed, as well as on labor intensity of technological operations of cartridge changing and ink refilling, and also it is defined by defect ratio after ink consumption during printing process. If you don't have ciss brother dcp-165c Continuous Ink Supply System, so sooner or later you will run out of ink and you will have to change it. At that, depending on the type of the printer, you have to make some technological cleaning procedures with a new cartridge. You could waste a lot of time. Furthermore, you should remember, that printer has several cartridges (or one with several different cameras) with ink of different color and that they run out of ink at different times. That is why, in this case, you will have to change cis brother dcp-165c more often. 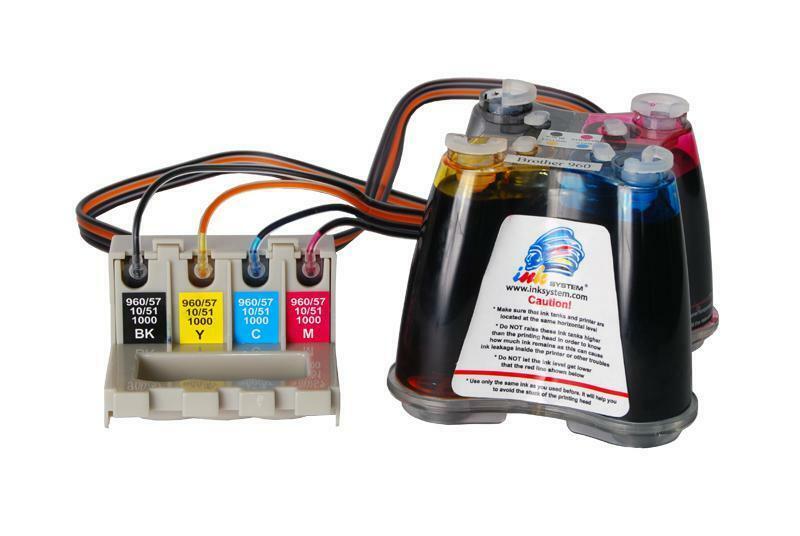 Moreover, if you have one color cartridge with several tanks, you will have to throw it with unexpended ink. Therefore, the average printing time of one page and above all its cost grows up significantly. Needless to say, that you could avoid all these problems by using printer with Continuous Ink Supply System ciss dcp-165c or the similar model ciss for brother dcp-375cw and ciss for brother mfc-495cw. It will let you to increase the performance of operation up to 15-20%. the capacity of donor tanks of ciss ink system brother dcp-165c is 10-20 times larger, than the capacity of original cartridges. during refilling, you shouldn't take cartridges out of the printer, that is why air couldn't penetrate the printing head. In such a way you prolong its life, and as you know, it is the most expensive part of the printing device. when using CISS for dcp-165c you will make colossal savings, in more than 20-40 times!